According to a recent article from CBS Boston, a hot air balloon crashed into power lines in Clinton, Massachusetts. Witnesses saw the hot air balloon flying extremely low over their neighborhood when it flew into power lines and caught fire. There were five or six passengers in the balloon who authorities said suffered burns ranging from minor to severe. Many of the witnesses thought the passengers were all dead when the balloon crashed. Fortunately, the accident was not fatal. The cause of the accident is unknown, as is the reason the balloon was attempting to land in the town. Local authorities and the Federal Aviation Administration (FFA) are investigating the cause of this balloon crash. The National Weather Service stated winds were fairly mild and there were no substantial weather events at the time of the crash. Around 600 people were left without power after the accident due to the power lines catching on fire. The power company was able to restore service within a few hours. As your Boston personal injury lawyer understands, injuries resulting from recreational activities can often lead to complex litigation. It is likely the passengers were required to sign some type of waiver before boarding the balloon. However, Massachusetts courts are often willing to void liability waivers, depending on the language of the contract and the facts of the situation. While there is always a possibility that the operator of the recreational activity was negligent, there is also the possibility of a defective product. 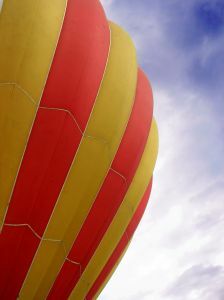 In the case of a hot air balloon, it is possible that the balloon or a component of the balloon was defective. If a defective product injures you, you may be able to file a products liability lawsuit, which is a type of negligence action. If people on the ground were injured or their property was damaged in a similar type of accident, they might have a claim as well. For the passengers on the ground, they would have a better of chance of recovery, because flying a recreational aircraft might be considered an inherently dangerous activity. If someone is engaged in an inherently dangerous activity and causes a personal injury to a foreseeable bystander, they may have a hard time establishing that their conduct was not negligent. In some cases, the law provides for strict liability when the defendant is engaging in an inherently dangerous activity. Strict liability means once a duty of care is proven, the fact that the defendant engaged in the inherently dangerous activity is enough to establish a breach of the duty of care. Normally, this is a fact-based determination that must be made by the jury (or a judge if it is a bench trial). In any personal injury negligence action in Massachusetts, the plaintiff must establish the defendant owed a duty of care to the plaintiff, breached that duty of care, and that breach caused a personal injury. There is no question that the operator of a light aircraft would have a duty to prevent foreseeable injury to those on the ground.